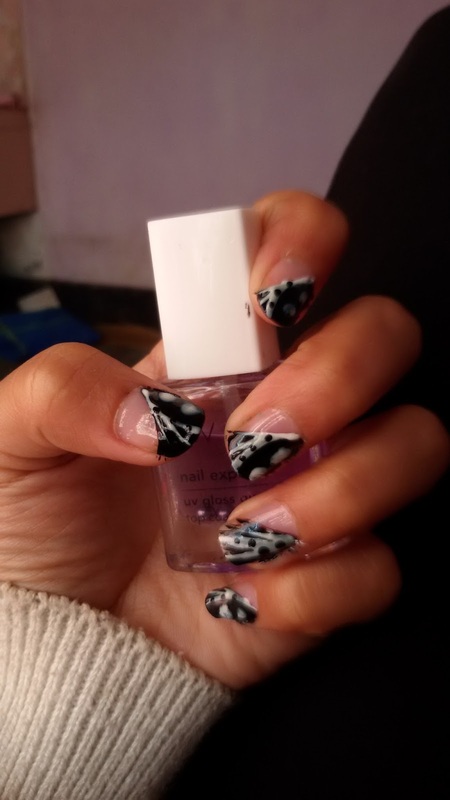 Nail arts have made a way in today's day to day life of our beautiful girls and wonderful ladies. Nail arts indulges your creative juice. 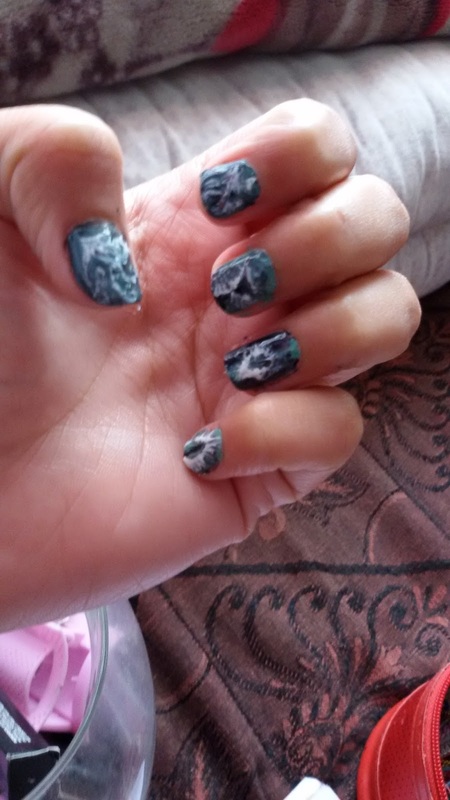 You can come forward with any designs and put them down on nails. People have a theme for nail arts.Some choose festival seasons,some put down their imaginations. This has taken the fashion industry by storm. But not every one can do it. Some stick stickers and some just to nail colors. 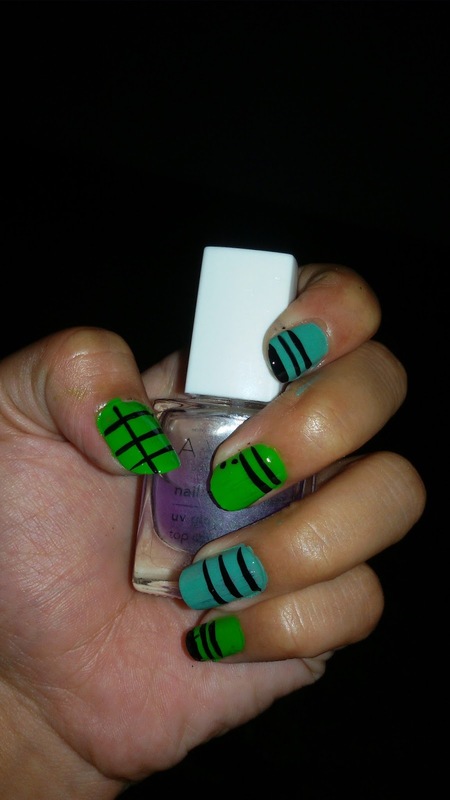 Here is a few easy designs that you can do yourself with just the basic nail colors. 3. Nail colors whichever you want. 4. 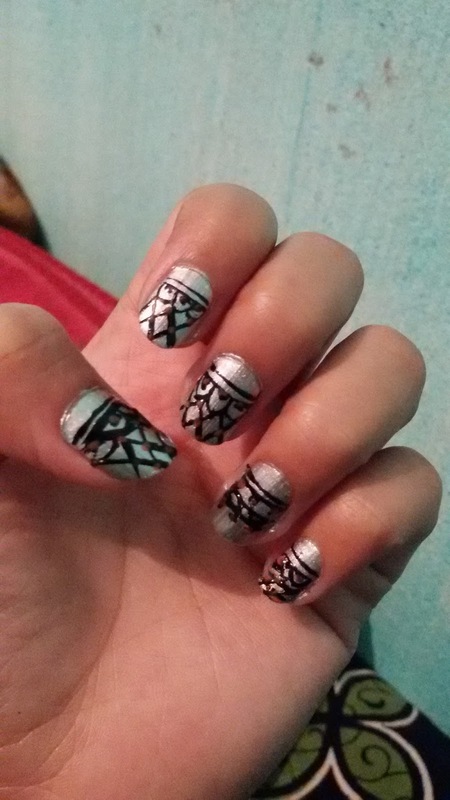 A nail art if you do not have it you can use a used color pen. Just dip it in the color you want. 1. Apply base coat so that your nails look shiny. 2. Use nail colors that contrast each other. Here I've used black and white. 3. Color half portion of your nail. 4.And add a lighter color from above(or vice versa). The design is very simple. All you have to do is select a color and out line the previous color and give some extra strokes. 5. Lastly go for a top coat. That will add and extra shine on it and also protect your nail color. First apply base coat and nail color you like. Then draw two lines. Keep some gap at the end. Draw three to four dots on the top line. Outline the dots in semi circle way. Then make cross starting from the semi circles..
Let the cross dry for a while and you can give touch up at the point of intersection by another color, if you have you can use glitters. And end it with the top coat. Here I have tried mixing different colors. What you can do is chose colors that u want to mix . 1. Start with the base coat. 2. Drop a drop of the colors you have chosen and you can either use a brush to spread them or some sweet wrappers (press the wrapper on your color). 3. Use the top coat. Its just matter of few lines. But make sure you know where to put them. 1. Maintain the gaps between the two lines. Do not forget your top and base coat for extra shine and protection.